15 year old son using marijuana? My son, aged 15, recently started using marijuana and there is a possibility that he will be dismissed from school. I am a Christian seeking your advice how to handle this problem. Comments for 15 year old son using marijuana? 1. It is an addictive drug 10% of the time and the most common drug (after alcohol) that people seek addiction treatment for. 2. It can cause permanent mental health problems like bi-polar and schizophrenia in people predisposed to these diseases particularly when used by a young undeveloped brain like your son. 3. It also can cause cognitive impairment and reduce the cognitive ability (intelligence) of a person who uses it especially if they are young when they start taking it. Because the brain is undeveloped marijuana may interfere with that development process. 3. It is a gateway drug that OFTEN leads to drug use and dependence on other drugs like heroin or cocaine, especially when drug use start so early. Many people say that marijuana is harmless which is not true. This lie is promoted by those who make money from the sale of marijuana and take advantage of the addictive properties of the drug. As a Christian you know that each of us has the individual free will to choose to do what is right or what is wrong. Your son has that choice and right now is choosing to do wrong. He will have to suffer the consequences of his actions just as we all do. If he is addicted to marijuana I would recommend the Teen Challenge program for him. You could call your local Teen Challenge and have him assessed. You should also take him to a doctor for a complete medical checkup to make sure nothing else is wrong. 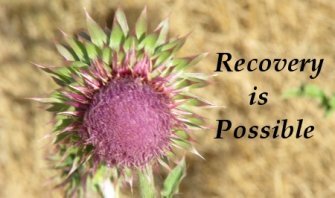 I would also recommend that you find a Celebrate Recovery program in your area held at a local church and begin attending those meetings. The people there likely have resources to help you to help your son to make better choices. Ultimately, your son will have to make his own choices as we all do, but you can help support him to make the right ones based on truth and not lies. Marijuana is a God-given plant, and I believe it is here for medical purposes. In the Bible it says that all plants on Earth have a purpose, and I think marijuana has a legitimate medical purpose. I know from experience that marijuana is NOT addictive, as long as your child has enough sense not to move on to anything else such as cocaine or alcohol as they lead to even worse things. It has not and never will cause any mental illness, the above commenter doesn't know what she is talking about. No, you should not condone your child committing illegal activities, but even if it is meant for medical purposes and there is no harm associated with the recreational use of the plant.